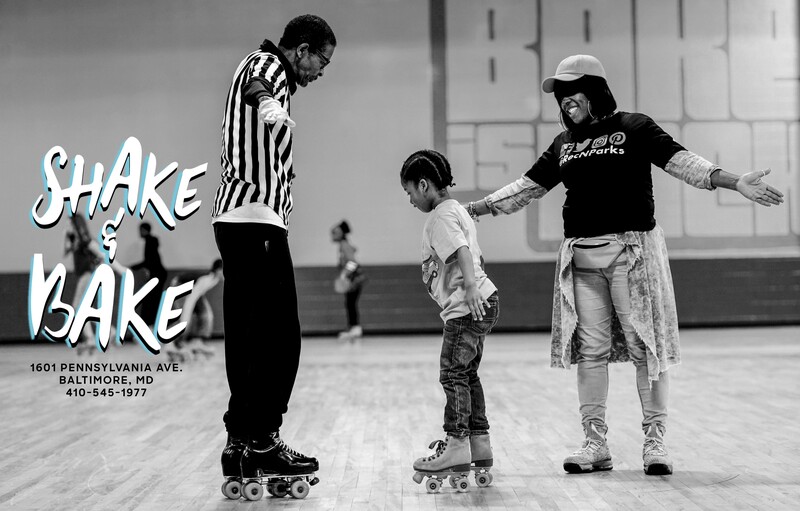 Baltimore City Recreation and Parks (BCRP) owns and operates the Shake & Bake Family Fun Center in the historic Upton community in West Baltimore. “The Bake” as it is affectionately known, has been a local, iconic staple since 1982. Named after Baltimore Colts wide receiver, Glenn “Shake & Bake” Doughty. 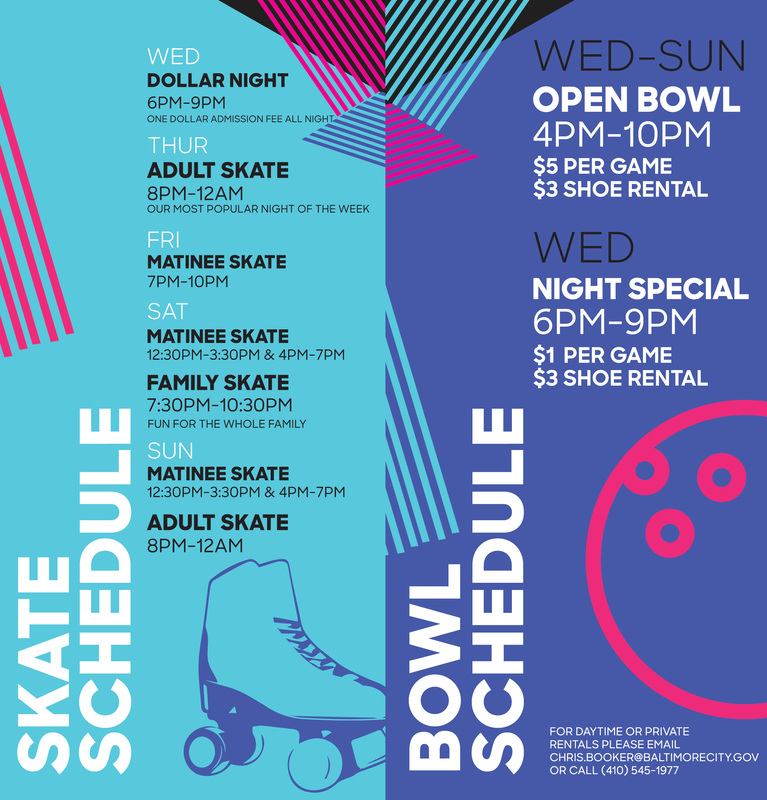 Shake & Bake is the spot for Bowling and Rollerskating under one roof in the heart of Baltimore City! 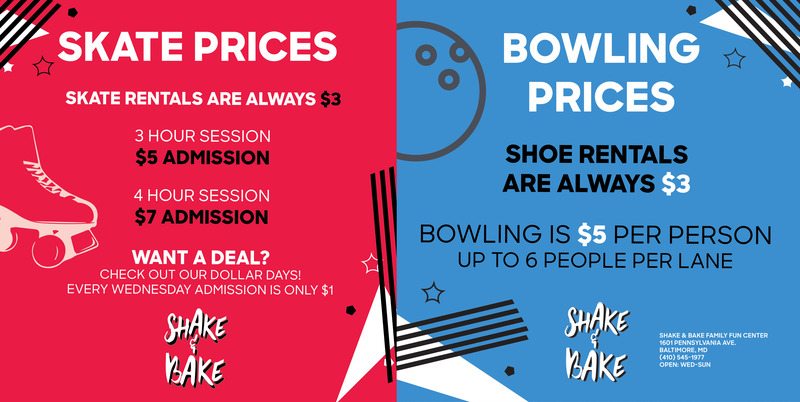 Get the most up to date info on events and schedules at Shake & Bake by following us on Facebook and Instagram! Shake & Bake Family Fun Center is not open on Mondays and Tuesdays. The facility is open during the hours below. Shake & Bake will close on official city holidays per the Office of the Labor Commissioner. Shake & Bake Family Fun Center is available for private bookings. Host your next event in one of our newly renovated spaces. We offer affordable rates and a family-friendly atmosphere for groups of all occasions. The Bowling Alley is available for daytime and private rentals on request. Contact Chris Booker at [email protected] to rent your next party or get together at Shake & Bake! For hours of operation, pricing, or special events call the main line at 410-545-1977. For the cashier's office, call 410-545-1978.